Northern Beaches Ceramics is part of TAFE NSW and it has been established for over 40 years. During that time the Ceramics section has developed a reputation as one of the leading ceramic education facilities in Australia. We deliver a range of courses that focus solely on Ceramics. Our courses range from entry level short courses such as 29515 Ceramic Foundation basic skills and Techniques Link all the way through to our highest qualification of Advanced diploma. Classes are offered part time during the day or night. We host Summer and Autumn schools in January and April each year. At times we hold guest lectures with local and international ceramists on Saturdays. The Ceramics section is one of the best in Australia. It’s a purpose built facility focusing solely on ceramic techniques. The facility is spread out on one level covering a space equivalent to 5 tennis courts. Parking is available directly outside the section. The Library is situated above the canteen and has an extensive range of ceramics books and online resources. Each discipline has its own room within the section. The facility has a variety of kiln sizes from 2 to 60 cubic ft. Kilns can be booked as a class, in groups or on an individual basis once students reach an acceptable standard. 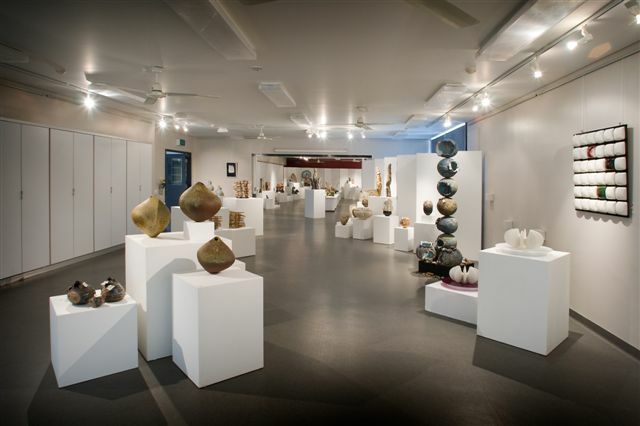 The Northern Beaches TAFE Ceramics department is approximately 35 mins by car or bus from the centre of Sydney at 154 Old Pittwater Rd Brookvale. Manly beach is 10 mins by car or bus. From Manly a harbour ferry travels to Circular Quay in downtown Sydney. Read more about individual courses in the course pages to the right.